My first attempt with casting 1:1 plastic casting went pretty well. 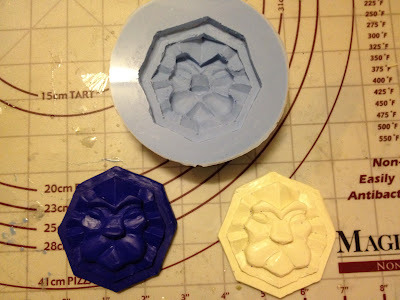 I created one of the lion medallions that I had shaped from sculpty. I noticed some imperfections that need to be fixed, but I think this shows that it will work quite well.